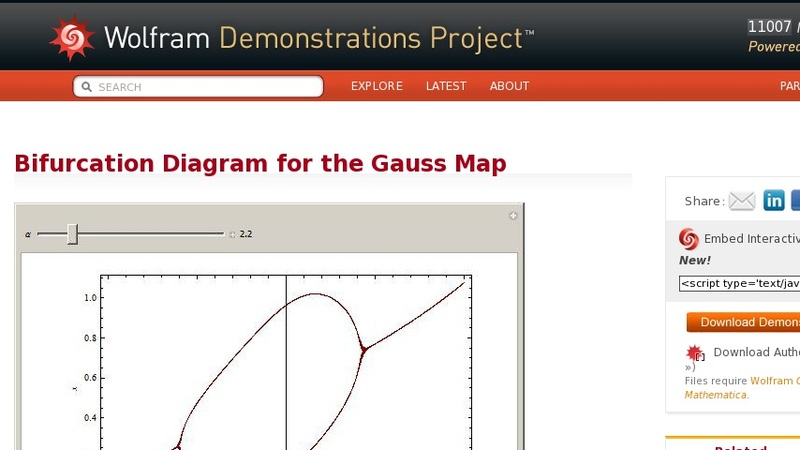 The Gauss map is a nonlinear one-dimensional iterative map defined by ... . This Demonstration plots the bifurcation diagram for user-set values of the parameter ... . Different values of the parameter ... lead to bifurcation, period doubling, and other types of chaotic dynamical behavior.